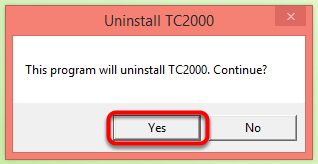 This article describes how to uninstall TC2000 v12.4 using the uninstall utility for PC. 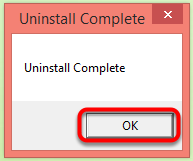 If the program is already closed you can disregard this step. Version 12 periodically saves personal settings including charts, watchlists, easyscans, etc. to the TC2000 Cloud. Even though you are uninstalling the desktop version of TC2000, all of these personal settings will still be available in the browser version of the program, as well as if you were to reinstall the program.